With Vino-Direct's private event services you can expect an assortment of gatherings of the finest calibur, customized according to your needs and desires to be in touch with the connoisseur that is already in you. Let us organize a celebration for the senses, create an unforgettable birthday party, anniversary, or a business reception where you and your guests will enjoy wine and food pairing that highlight our Italian uniqueness. It is so simple: we customize the menu to satisfy your taste and will deliver an experience that will leave a long lasting impression. 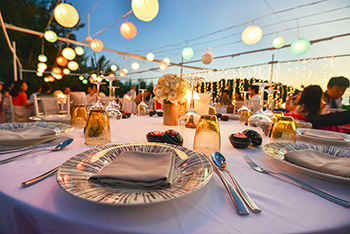 Our Special Event Services are now available only in California but could potentially be offered wherever you are. Here are just a few examples of what could be served in the comfort of your home, corporate office, or local restaurants and venues. Join us for a sumptuous affair you will not soon forget. These dinners start with a selection of wines and appetizers followed by a coursed dinner paired with wines. Each course contains a specific winery wine precisely paired by the collaboration of chefs and winemakers. The winemaker and other Vino Direct's staff will be also present to talk about their wines, the winery's history, and their devotion to quality. 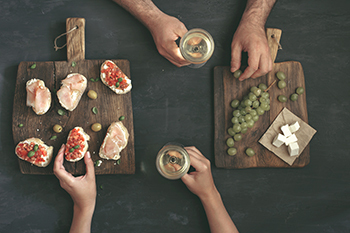 A mini-course focused on wine and food pairing. Do you know the right way to hold a wine glass? Could you master a tasting technique in a few simple steps? 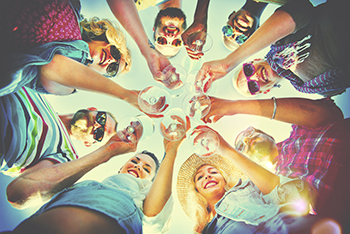 Do you want to be a confident wine drinker in social and business events? Can you read a label? We will provide a selection of wines, a certified sommelier, and a selection of our finest Italian specialties that go with it. This is a seminar specifically created for those who wish to approach wine basics ‘academically’ for the first time. Wine lovers and those who have been enthusiasts for years but wish to consolidate their knowledge, as well as restaurateurs or sommeliers who wants to learn how to professionally communicate their knowledge to clients. Education and teaching is one of Vino-Direct 's main goals. 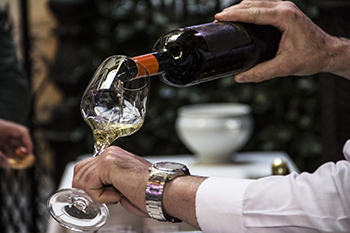 We are able to organize exclusive events, in a venue near you, to showcase the outstanding wines of Italy, the territory, the tasting notes, the appopriate glass, in a professional course format offered by the best NASA-certified sommeliers available in North America. Because of our longtime industry relationships, we are able to offer you a catered meal in the venue of your choice or at home to celebrate private events (bridal showers, business meetings, birthdays etc.) with stunning food and wines that celebrate the senses. Log in and let us know your preferences. Vino-Direct will take care of the details, you just sit back and relax. We are devoted to quality and attention to details in pairing the perfect meal to your celebration. Caviar and Champagne have long been considered a perfect gourmet marriage. The delicious salty taste of caviar is beautifully enhanced by Great Italian Sparkling Wines. One of the most aristocratic and classic food pairings that link food and wine across Europe can be brought directly to the comfort of your home. This special tasting event will bring you to a journey across Lombardy and will pair its best Caviar: Calvisius Caviar with its best bubbly wine La Montina Franciacorta. Explore our wineries like a local. 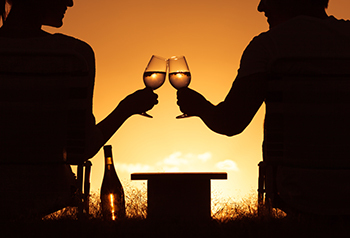 Learn about your favorite winery as an insider. Join the winemakers in Italy...and of course drink their wines! We can tailor a splendid vacation in one or more of our boutique wineries where you will not only tour the cellar, but also experience a delightful taste of the local treasures: from food to art, from history to wine and artisanal cooking. 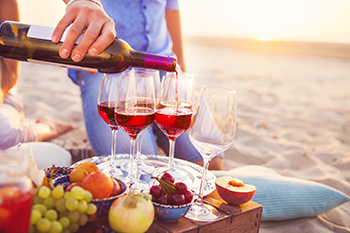 What would make this experience unique, yet relaxed and authentic is Vino-Direct 's connections with local wineries, bed and breakfast, sommeliers, chefs, and tour guides, and our ability to create an itinerary of discovery customized for you. Call or e-mail to learn more about the highlights of our tours. Wishing you could see the glass always full? We can help!